Fencing competitions enjoy a long tradition at many colleges and universities throughout the United States. In fact, during the 2017-2018 academic year, 46 schools sponsored varsity fencing teams, including NCAA 1, 2, and 3 schools. The oldest college sporting trophy was awarded in this sport and was known as the “Little Iron Man”. It was presented to the top Men’s Fencing Team at the Intercollegiate Fencing Association’s Championships. Furthermore, it’s one of the first sports women participated in on an intercollegiate basis and today most schools have a program of this type. “Today, nearly all colleges offer either an NCAA program or a Competitive Club program. U.S. News and World Report’s list of the top 20 universities shows fourteen of these schools have NCAA Fencing programs and the other six sponsor a competitive club program. Today, ScholarshipStats.com reports more women participate in the NCAA programs than men with the average scholarship coming in at over $9,000,” Sage Mari, spokesperson for Fortunate Fencing, explains. College applicants with fencing experience receive an advantage in the college admissions process. Schools now recruit men and women who participate in the sport to strengthen their NCAA team or Competitive Club. In fact, many students believe their fencing experience allows them to go to a great university as opposed to a good one. Their participation in the sport provides them with an edge in the highly competitive process. 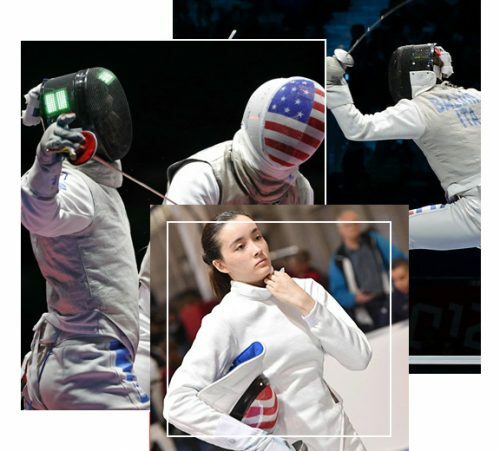 “Fortune Fencing has worked with fencers who have grown up with the organization, graduated from high school and gone on to attend some of the country’s finest colleges and universities. Some have continued with the sport in college and have been provided with scholarships to compete on the school’s team,” Mari continues. Fortune Fencing provides classes for all ages and levels of experience. This is a fast and athletic sport, one that requires participants use their strength and stamina to overcome their opponent. This martial art has one of the lowest injury rates and all individuals may take part in a free trial class to see if they wish to learn more about the sport. Visit Fortune Fencing today to learn more about this activity and how it can be of help in securing sport scholarships for college. A student who takes part in another sport may wish to pick up this activity to increase their odds of getting into their school of choice. Fortune Fencing students participating in the sport this year at the college level include Chloe Daniel of the University of Pennsylvania, Benjamin Yeh of Georgetown University, Justen Phen of the University of San Diego, and Alex Comer who is deciding between the University of San Diego and Johns Hopkins. “For those who don’t take part in another sport, this is a great one to try. We also offer summer camps for those who would like to immerse themselves in the sport for a short period of time to see if it is right for them. Contact us today to learn more,” Mari recommends. Fortune Fencing operates to grow, educate and promote the Olympic sport of fencing. They seek to achieve excellence by training individuals to succeed in reaching their competitive and athletic goals.